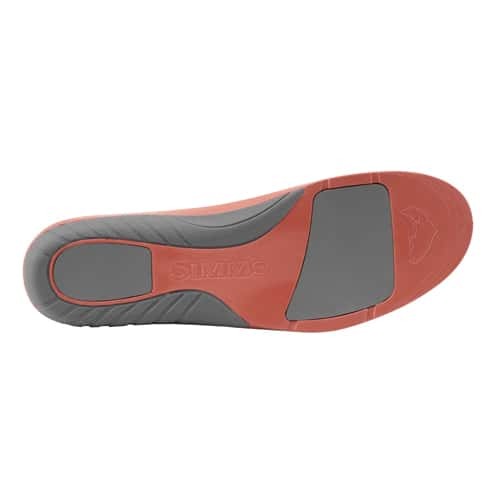 Simms Right Angle Plus Footbed is a shock absorbing pad with a TPU heel clip that provides extra support in Simms wading boots. The Simms Right Angle is biomechanically correct arch support providing the most secure and comfortable underfoot experience in, around and under water. A structured heel cup focuses the pad under the heel for comfort and shock absorption. The fully sculpted arch supports the heel bone for full body alignment as well as natural footflex, alignment and gait style. These boot pads work for those who may be in between sizes.